Send an email to Oleksandr Shepeliev Please fill in this quick form to contact our expert directly. In February 2016, Microsoft announced the acquisition of Xamarin, a powerful tool that allows conducting cross-platform mobile app development. 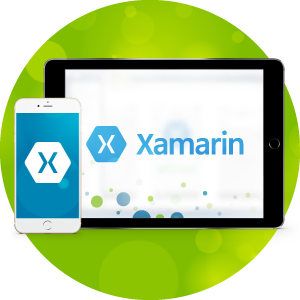 Xamarin might become one of the most important game-changers in mobile application development for 2016. With its help, we can make one app from a single code and it will work correctly and smoothly on all platforms, be it iOS, Android, Blackberry, or Windows Phone – just like if it was a natively developed application. Infopulse has been working for quite some time with Xamarin already and successfully developed a whole portfolio of Xamarin-based mobility solutions for one of our enterprise-level customers. 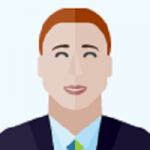 Our client is one of the Big Four, an international professional services firm with offices around the world and thousands of employees who work with sensitive data, worth billions of U.S. dollars. One of the customer’s business requirements is to have reliable solutions that enable employees with secure remote access to this data. From the very start of our collaboration with the customer, we were doing native development for all existing mobile systems. Of course, the price for the native platform development is huge and our client wanted to minimize expenses while getting enterprise mobility solutions they needed. We decided to change our development approach. Our first attempt at developing cross-platform apps was to wrap applications inside of HTML5-based containers. These containers worked on all tablets and phones irrespectively of the platform. However, as we were adding newer features, naturally we came to a point where existing technology stack couldn’t meet client’s requirements and newest standards. Instead of wasting time and resources trying to solve issues with HTML5 containers, we decided to switch to Xamarin in the beginning of 2015. We were able to easily transition our development in just 2 weeks and immediately started writing first apps using this tool. For the moment, we have already successfully delivered a whole lot of Xamarin-based enterprise mobility solutions for our client that can be installed to an iOS, Android or Windows Phone device. E.g., one of the apps allows access to the corporate database portal. This app provides smooth and quick access to uploading, downloading or editing public benefit entities (PBEs) as well as further document workflow. As it had to be confidential, we added several components ensuring secure user authentication based on various access levels, user roles, etc. In our experience, there are many benefits to Xamarin – it’s rather convenient to work with as it’s based on open-source .NET and C#. Of course, the platform is still developing – approximately 80% of all apps can be coded with Xamarin, while some apps can be done via native development only. While making a Xamarin-based mobile application, we only need to write 20-50% of the platform-specific code and spend some time solving minor issues. The solutions that we developed for our customer have become everyday tools for Top Management, employees and customer’s clients. Xamarin is very effective at what it does – saving precious development time, sources and clients’ money as we can develop quickly for all existing mobile platforms simultaneously. 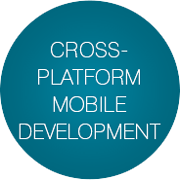 Thus, having a successful experience working with this tool, we expect more and more clients to request cross-platform mobile app development soon.